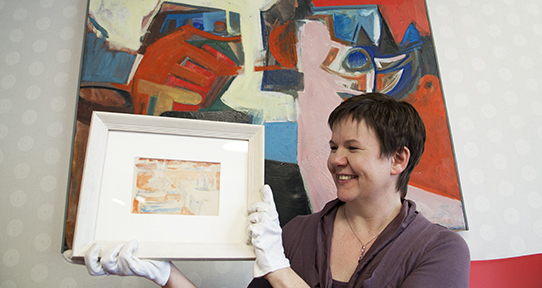 Germanic and Slavic studies alumna Caroline Riedel is the curator at the University of Victoria Legacy Art Gallery. What can I do with a degree in Germanic and Slavic studies? Germanic and Slavic studies encourage students to analyze, write theoretically, and develop a passion for other cultures and languages. Our grads end up with sophisticated skills in critical thinking and analysis, and oral and written communication. Our graduates work as teachers, archivists, journalists, tour guides, foreign affairs officers and so much more. A degree in Germanic and Slavic studies is flexible and can help you find a career you’re passionate about. Aside from honing my research and writing skills, the support of the close-knit department buoyed my confidence and encouraged me to pursue my personal academic interests. After completing her degree, Stephanie was accepted for a teaching assistantship in Göttingen, Germany. When her contract was finished, she relocated to Berlin to begin a junior management position with a travel company that provides small-group, academic walking seminars to travelers in more than 35 cities around the world. She spends her days overseeing operations and staff in six countries. She has also worked as an editor and translator for a bilingual online publication and continues to contribute as a writer to other local publications. Read more. 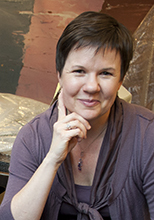 Caroline is Curator of Collections at the University of Victoria’s Legacy Art Galleries. In this role she develops exhibitions and programs that utilize the permanent collection to promote interdisciplinary collaborations and mobilize knowledge and research. Caroline’s background in languages was fundamental to her decision to pursue a career in the museum and cultural sector. She also supervises co-op students and interns at the gallery. Read more. Friederike is pursuing a Master's degree at Georgetown University. Most recently, she worked in the Executive Office of the German Marshall Fund, an organization that contributes to policy research and analysis on transatlantic issues. She says she's continuing to build on the strong educational foundation she received from the Germanic and Slavic studies department at UVic and hopes to advise on transatlantic issues and promote cultural exchange, education and security cooperation in the future. Read more. Ian monitors the treatment of religious minorities in post-Soviet countries through open-source analysis of Russian and English language reports in order to formulate policy recommendations to Congress, the Secretary of State and Congress. This includes translating Russian language news articles and compiling summaries, researching instances of religious minority rights abuses in former Soviet countries and Russia, and contributing to country evaluations for USCIRF’s annual report. 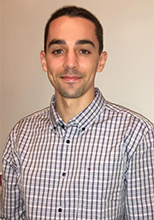 Following his undergraduate studies at UVic, Jeremy went to Germany where he worked as a language assistant in a high school in Wolfsburg and continued studying the language. 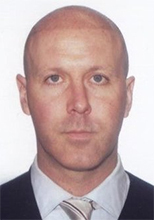 After completing an MA and PhD in Germanic Studies at UBC, he currently works at the University of Tokyo teaching research essay writing skills to first-year students. Read more. 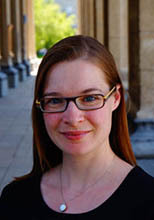 After completing a Slavic Studies minor at UVic, Katherine went on to do an MA at the Center for European, Russian, and Eurasian Studies at the University of Toronto and then a PhD in History at UC Berkeley. She now works as an assistant professor at the University of Arkansas at Little Rock, where she teaches Russian and European history courses. Read more. Rowan plans to put her linguistic and cultural experiences to use in the study of international human rights. She says the research and writing skills she gained at UVic have been invaluable in law school, and the comparative cultural understanding has allowed her to engage critically with the American and international legal frameworks. Read more. Kat splits her time between freelance writing and managing her content marketing company, Tavanberg. Her duties include content marketing for editorial material such as articles, video, infographics, recipes, and more for corporate clients. 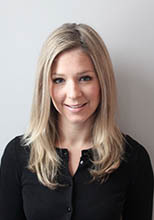 She worked previously as a web editor in the magazine industry. Read more. 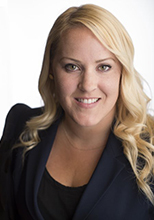 Morgyn is currently a Partner at Hammerberg Lawyers LLP in Vancouver, practicing personal injury law. 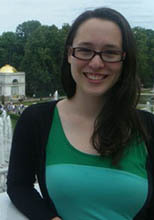 Through Slavic Studies, she says she acquired critical and analytical thinking skills as well as a passion for different cultures, customs and language which has proven to be invaluable in both law school and subsequently in her day-to-day law practice where she works with a variety of people from diverse cultures and background. Congratulations to Laura Bock, German Research Grant recipient! Follow @uvic_geru for more updates. Join the Germanic and Slavic Studies at UVic group on Facebook to receive news and events on campus. Watch videos on the UVic Germanic and Slavic YouTube channel. New posts are coming soon!